Recently I had a conversation with a gentleman who spoke of his experience running a private medical practice as the director. He spoke of often having to crack the whip and assure others that he knew when they were and were not doing their jobs. I smiled politely and wondered to myself, Why would he tell me that? He thought he was sounding important. I thought he sounded like a jerk. This unfortunately mimics other experiences I have had with people (many of them men) in connection to my business. I have repeatedly experienced at conferences, meetings, and consultations that people in business (many of them men) often dialogue from a winner/loser paradigm and power and authority are important matters. Let me be clear: I’m not bashing people in business (many of whom happen to be men). Some of them are really nice people. Some of them are very helpful. But I’m not drawn to do business with them. 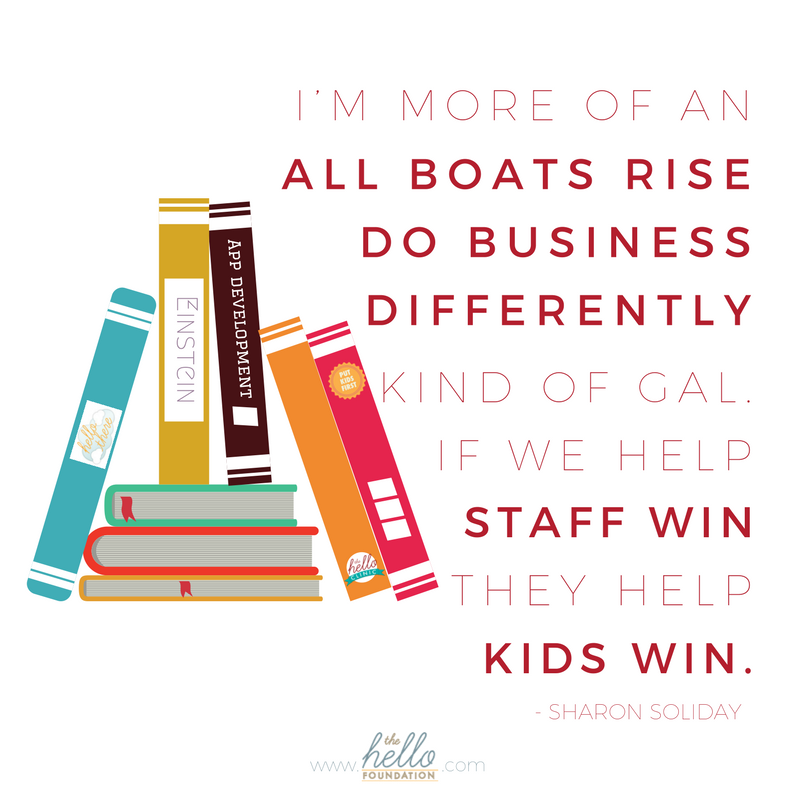 I’m more of an all boats rise, do business differently, kind of gal. 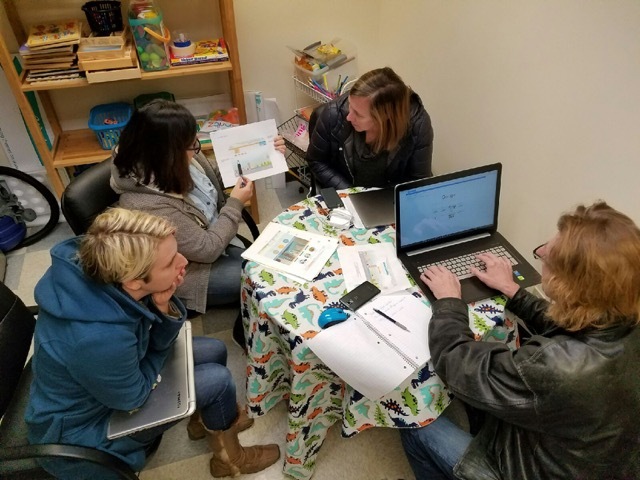 If we help staff win, they help kids win. When kids win, society wins. Years ago, I had a man tell me these ideas about business (everybody can win/the needs of staff come first) were ridiculous and I should give it up because surely I would fail. “That’s not how business is done,” he said. Six months ago I had another man tell me building our own platform for teletherapy was a waste of my time and money. A lot of my money. “Why would you do that? !” he asked incredulous. I was already twitching because he’s right about the expense. I’m six digits into development and I struggle to sleep some nights. His words made me begin to think perhaps I had fallen down the rabbit hole. It was only later, by chance; I read in related material that the nice man giving me his opinion had a financial interest in the platform he had recommended. And with that, his gross self-interest glaring, I was done being nervous about what various men (or women) think I should be doing. Because it IS about my staff. Because my staff are about KIDS. I bought a book about Einstein and I keep it by my bed. Sometimes I carry it to my office. And then sometimes I take it back to bed. I don’t actually read any of it. I carry it around as a reminder that Einstein knew in his being before he could ever prove it that a single unifying theory in physics existed. He took a lot of heat for that (he never could prove it) but he always easily dismissed those that disagreed. He simply KNEW he was on the right track. So maybe Einstein is one of the people who would get my argument that I simply KNOW our strategy is the best approach. Because I’ve listened to my amazing staff and I can typically see a few steps ahead of them to the miracles they’ll create. Because I’ve listened to our clients, I can see what they need and how my staff can meet those needs if they’re given the right tools. To make all that happen, I have to follow my own plan and build our own technology. That building is happening. Here are some of us at our weekly meeting (in the Clinic art room), talking programming and HIPAA compliance and design and user experience and everything else. We’re getting close. It’s all worth it. After the first set of six digits, debt all feels like play money anyway. Fortunately, the crack-the-whip medical director didn’t want to pursue a relationship. And it’s okay. We were too different. Besides, I’m happy at home chatting with Einstein instead.